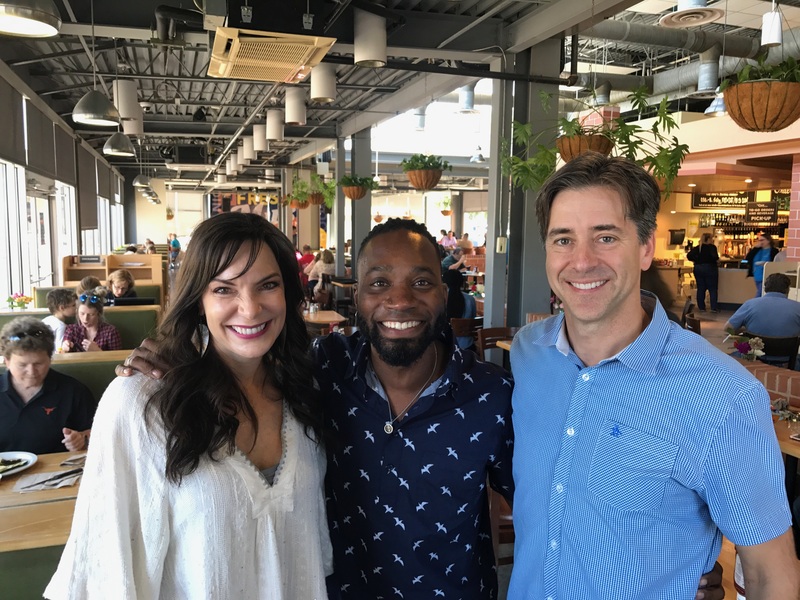 (AUSTIN, TX) – After eleven years, Quinton Weathers decided to shift the focus of his attention from the business management of The Dance Spot to focus more fully on nurturing his award-winning dance company, Rise. Weathers will remain Creative Director of Rise and rely upon the new owners to manage the business operations. Kathy Dupuy, co-owner of Balance Dance Studios, will assume ownership of the north Austin studio beginning August 1, 2017. Both parties will use the summer to put plans into place for a successful fall launch/integration. Dance Spot families can expect the same award winning direction and choreography, and an even higher level of attention to seamless business systems and processes, as well as customer service. The Dupuys have started multiple, successful business entities, the largest of which is a household staffing agency, Mom’s Best Friend, founded almost 23 years ago, later franchised and now operating in 6 cities nationwide. Kathy Dupuy, and business partner, Kristin Nicolaisen, opened Balance Dance Studios almost 5 years ago, in south Austin, to meet a growing need for high quality dance program offerings, recreational and competitive, for both youth and adults. The studio, known for its innovative philosophy of healthy mind, body and soul development through dance, is located at 4544 S. Lamar Blvd., Bldgs. 200-300, Austin, 78745. With over 8000 square feet of dance space in north Austin, and 13,000 square feet of dance space in south Austin, dancers can take advantage of over 150 classes weekly across 13 studios spaces. Dance Spot families will continue to receive instruction from the same exceptional faculty, with a focus on improved business systems. The collaboration seemed a natural fit for both studios and a ‘win/win’ for students, dancers and staff. Both studios have a shared commitment to offering the highest caliber of dance training, hiring only the most experienced and dedicated faculty, crafting an excellent client experience, and shaping students’ character and integrity through the art of dance. Weathers and Dupuy are currently in the planning stages of creating a program for students at both studios to enjoy some type of reciprocal privileges at both studio locations. Balance Dance Studios will celebrate its 5-year anniversary in May, with a party on May 27th, and Dance Spot families and students are invited to come and take a tour of the facility and meet Balance families and students. Weathers will teach classes one night a week at Balance Dance Studios, so its students and others in south Austin will now be able to take his classes without trying to navigate north to The Dance Spot during weekday evening traffic. ABOUT THE DANCE SPOT The Dance Spot was founded in 2006 by Quinton Weathers. His vision was to create a studio for dancers to evolve as artists and as people. The Dance Spot strives to provide a positive learning environment where dancers can feel challenged and appreciated. The Dance Spot specializes in classes of all levels from recreational dance to our pre-professional curriculum. www.dancespotx.com. 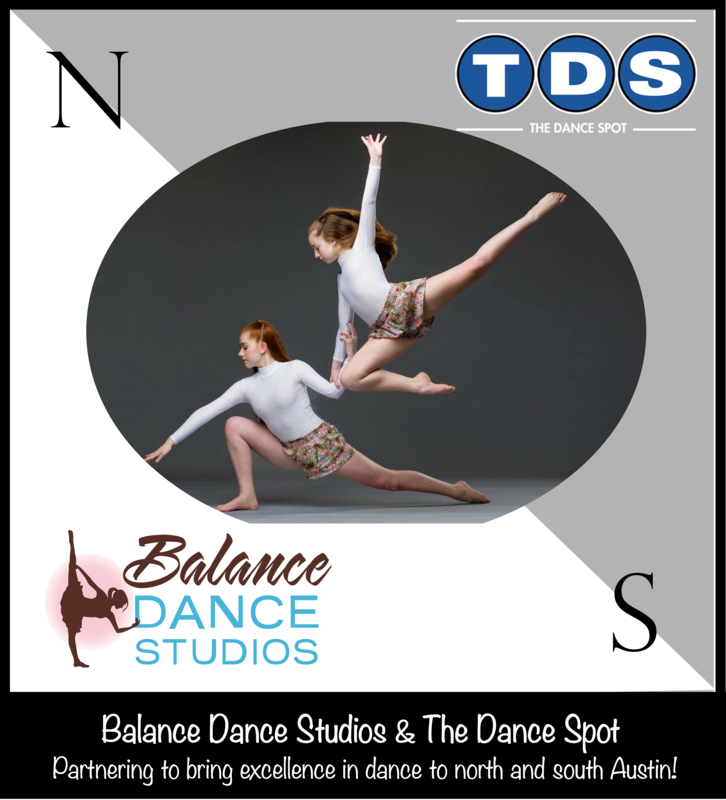 ABOUT BALANCE DANCE STUDIOS Balance Dance Studios was founded in 2012 by Kathy Dupuy and Kristin Nicolaisen. The studio empowers students to build strength, stability, and awareness of not only their bodies, but their minds and souls as well. Balance faculty and staff strive to make the studio environment a second home, a place where students can train, either just for fun or pre-professionally if so desired. The studio offers a wide range of dance (recreational and competitive) and fitness classes for children and adults, as well as specially tailored classes for differently abled children. Its nonprofit arm, Bestow Balance, provides annual scholarships for talented dancers who could not otherwise afford to train. www.balancedancestudios.com. (AUSTIN, TX) – After eight years at their current South Austin location, Tapestry Dance Company, the world’s only full-time professional tap company is moving, taking up residence at the like-minded Balance Dance Studios, known for its innovative philosophy of healthy mind, body and soul development through dance. The facility is located at 4544 S. Lamar Blvd., Bldg. 200, Austin, 78745. The move will take place on Monday, October 19th. Read more….